I can vividly remember the first time I ran 3 miles. It felt like hell. 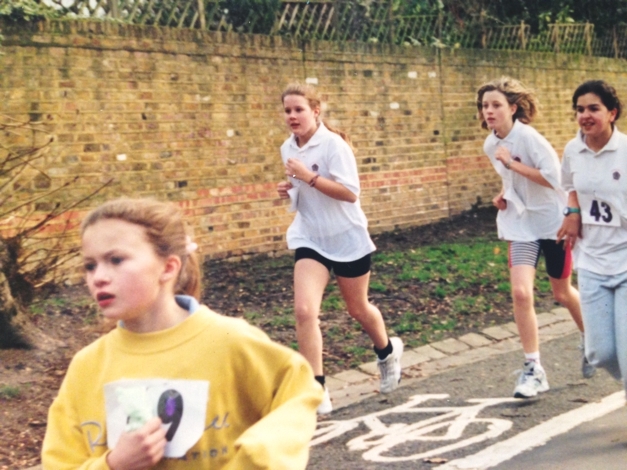 I was 13 and my school had entered all of us into a 3 mile run in Nottinghill, London. The first thing that happened was all my friends sprinted off and left me behind. After that, everything started to hurt. My lungs, legs, mind and even my teeth felt the pain. I could feel my face getting red and was out of breath as I struggled to do something I'd never done before. It wasn't just the distance I found challenging, there were hills and I was pushing myself to go fast, I felt totally out of my comfort zone. "Sophie, you know they very nearly had to call the ambulance when you crossed the line..."
"I can't run... I don't enjoy running... I'm not very good at running..."
There was an element of truth to this, my running results were disproportionately worse than swimming and cycling. In August I entered my first Half Ironman, I came in the top 10 for swimming and cycling but dropped 1o places over the course of the run. I ran the 13 miles in 1:52 hrs, it was the furthest and fastest I had ever run. Yet, the negative thoughts continued; "I can't run, I'm not very good at it..."
Chuffed to bits but in pain! I had to work at it, I had only 4 weeks until Ironman Wales. Play the long game and keep going. One foot after another. Ironman Wales run course. Time to run a marathon! The course consists of four 10k loops, uphill for 5k and downhill for 5k. After the first loop and passing my family cheering me on, my confidence started to build "Ok, I've just run 10k, that's an achievement in itself". Another lap passed and I was half way, I was doing it, running this marathon. I didn't stop running, I didn't allow myself to walk on the uphills, the challenge motivated me - I knew I didn't want to cross that line feeling like I could have given more. I'll share a secret with you: I loved it. I finished the marathon in 4:33hrs, not bad! The experience of running 26.2 miles and becoming an Ironman gave me a little more confidence to believe in myself and give myself permission to believe that I do enjoy running, that I can do it and am good at it. However, I still have a way to go. I still have those lingering doubts which can all to often lead to excuses not to go running. In an attempt to motivate myself to run and to FINALLY abolish all remnants of a negative mindset about running, I've created a little challenge for myself. 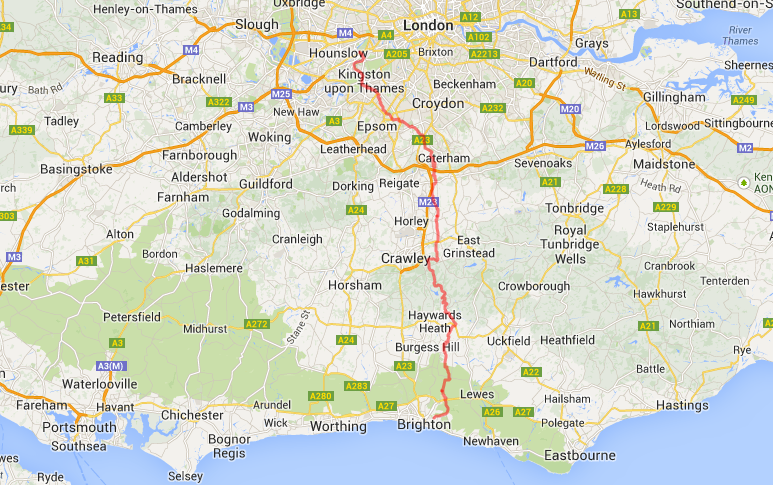 On Saturday 26th April, I will be running 55 miles from London to Brighton in one day. I've managed to convince three friends to join in the challenge and Brooks are onboard to sponsor and support. It's not an organised event, we're just going to leave home and run to Brighton. I've been out running more than ever before, twice a week! I'm feeling improvements in my speed and confidence. I feel relaxed and using them to see my friends. I'm motivated and happy, it seems my plan is working! I'm really excited about the challenge and can't wait to share the journey with you. Through challenging our bodies, we develop strong minds. Use this to your advantage. Prove to yourself that you can do it, because you can!